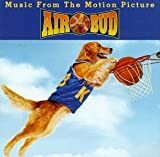 Accueil Produits Bande originale La bande originale de “Air Bud : Buddy star des paniers”. La bande originale de “Air Bud : Buddy star des paniers”. Sortie : 5 août 1997. Film : Air Bud : Buddy star des paniers. 1. Clown And A Hound – 1:09. 2. Remembering Dad (Josh’s Theme) – 2:05. 3. The Secret Court – 1:28. 4. Clair (par Gilbert O’Sullivan) – 3:00. 5. Buddy & Josh : Together At First – 3:42. 6. Splish Splash (par Jimmy Z.) – 1:41. 7. Buddy “The Destroyer” / Posters – 2:16. 8. Painting The Court – 0:47. 9. The Paper Thief – 1:41. 10. Buddy Makes A Basket – 2:14. 11. Destroying The Gym – 1:30. 12. Invisible Ball / Half Time Show – 1:27. 13. From The Heart (Air Bud’s Theme) – 1:25. 14. Snively Takes Buddy Away – 2:11. 15. Rescuing Buddy – 2:35. 16. Josh Sets Buddy Free – 3:57. 17. Buddy’s Back – 0:42. 18. The Final Shot – 1:11. 19. Buddy & Josh : Together At Last / End Credits – 4:56.